It’s happened to me and I’m sure it’s happened to you. You’re in polite company, maybe at a BBQ, and someone asks why you love cars and driving. One of your defining passions is suddenly on trial. Why would you love something others see as a chore? Isn’t driving quickly immature and dangerous? Besides, won’t cars drive themselves soon? Fear not. Now, with a little time spent learning your lines beforehand, you can hit them back with some top-drawer Raj Nair: ‘There is joy in the act of controlling a machine. We take it for granted but we’re talking about minute movements of your hands and feet, movements that are translated through the steering, the brakes and hundreds of horsepower into incredible forces. 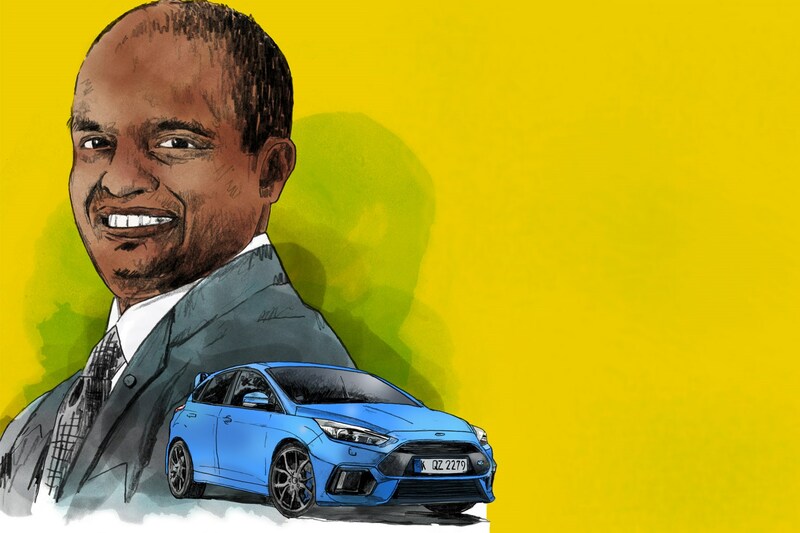 Nair is too modest to claim credit for any single Ford – ‘product development in the automotive industry is the biggest team sport there is’ – but it’s unlikely his hands-on approach and the brilliance of cars like the Focus RS are unrelated. Next month a fairytale will or won’t play out on a fairly important race circuit in France. Half a century ago Ford GTs finished first, second and third in the 24 Hours of Le Mans. Victory for the new GT would complete a narrative circle in career-defining style for Nair, and after a baptism of fire at Daytona in January the GT racer’s been growing steadily more competitive, finally breaking its duck with a win at Laguna Seca in May. Which achievement makes you proud? What’s the best thing you’ve ever done in a car? ‘I qualified on pole for a Formula 2000 race at Grattan raceway a long time ago. I built up a lead and decided to take it easy, so of course I spun immediately. Tell us about a time you screwed up? Company curveball… Which GT40 qualified on pole at Le Mans 50 years ago?